The strong never fear the challenge! Why the plasma TV like Changhong would be disturbed after the installation of the touch screen. Before analyzing the causes, we must first understand what plasma TV is. Knowledgeable people should know that, a large backlight illuminates the screen of LCD TV, while for the plasma, each pixel is illuminating. As shown in the above chart that, each pixel in the plasma screen is made up of three glass air chambers, which are coated with the phosphor in three colors of red, green and blue. By parity of reasoning, a large number of glass gas chambers form a flat plate. Each glass chamber contains a mixture of gas, which is also known as the inert gas. They work as the media between two plates, when the electrode wire is discharged to each air chamber under the control of the driving circuit, the inert gas in the chamber will discharge, causing the ion to emit ultraviolet light. UV will re-stimulate phosphor luminescence, and this series of actions complete the plasma imaging. 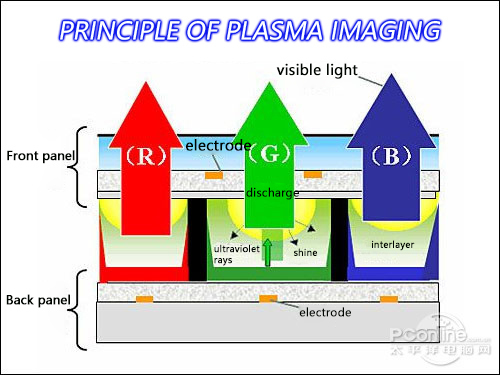 Understanding the principle of plasma imaging, let’s come back to explore the issue that "the touch screen in the plasma TV is interfered" mentioned at the beginning of the article. First of all, let’s analyze a vague term in this issue - touch screen. Now the mainstream touch screen technologies in the market include the resistance, capacitance and infrared. The first two are mostly used in small sized appliances, such as mobile phones and tablets; while the infrared screen is to occupy large-size market, such as smart advertising, delivery locker and all-in-one machine. Seeing this, some friends may have already known that the touch screen with the problem must be an infrared screen. We need not to say too much on the size, to infer only from the working principle, the resistor screens and capacitive screens are excluded. Let's have a closer look at the working principle of the infrared screen. In the infrared screen, a frame is usually installed in front of the monitor screen, and inside the frame is the circuit board, the infrared emission tube and infrared receiver tube are uniformly distributed in the X & Y direction. They are the vertical and horizontal crossed infrared ray matrix with one-to-one correspondence. 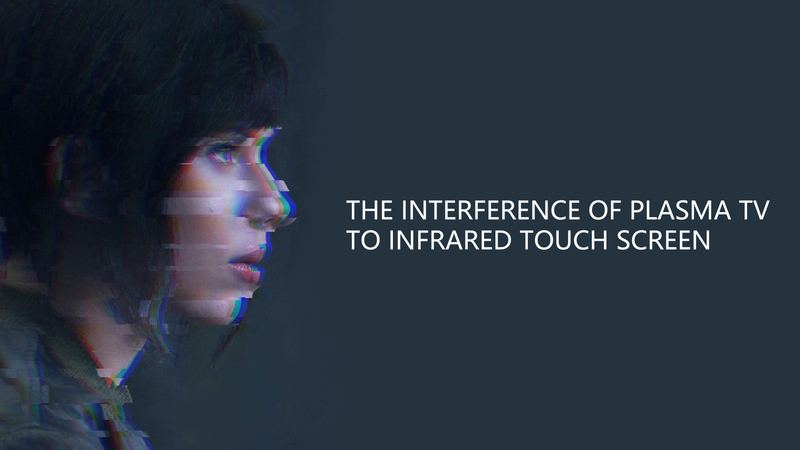 When there are fingers or other objects entering into the matrix, the vertical and horizontal infrared at this point will be blocked, and the controller will determine the location of the touch point on the screen. While the controllers of most of the infrared screens are directly set on the circuit board in the frame, and the controller communicates directly with the host via the USB interface or the serial port. Therefore, due to the special principle of plasma imaging, influenced by the high pressure, it is also normal for the circuit board on the infrared screen to have the interference phenomenon. Now the touch screen industry has the intense competition, and the product quality is also uneven. The enterprises pursuing the long-term development will put the product quality in the first place, and keep developing and updates in the hardware and software, and overcoming one after another technical problems. Shenzhen TMDtouch Technology Co., Ltd. is such an infrared touch screen business upholding the quality to come first and setting the research and development, production and sales in one. The infrared screen from TMDtouch Technology can still work properly facing the full screen of high pressure after the boot of the plasma TV. Let's first take a look at this video. Please pay attention to Shenzhen TMDtouch Technology Co., Ltd. to learn more about the infrared screen.